Hard Rock Exploration – Hard Rock Partners 2009 L.P.
Have you suffered investment losses in Hard Rock Partners 2009 L.P.? If so, The White Law Group may be able to help you recover your losses by filing a FINRA Dispute Resolution claim against the brokerage firm that sold you the investment. Hard Rock Exploration, Inc. is an independent oil and gas development company that sponsors drilling programs such as Hard Rock Partners 2009 L.P. to raise money from investors. On September 5, 2017, Hard Rock Exploration, Inc. along with its affiliates filed a voluntary petition for reorganization under Chapter 11 in the U.S. Bankruptcy Court for the Southern District of West Virginia. The trouble with alternative investment products, like Hard Rock Partners 2009 LP, is that they involve a high degree of risk. They are typically sold as unregistered securities which lack the same regulatory oversight as more traditional investment products like stocks or bonds. An additional risk inherent to Hard Rock Exploration offerings is the general risk that comes with the energy market. The energy market has seen enormous losses over the last few years due to the declining cost of oil and other energy commodities. These investments may seem wise at first, until the dramatic drop in distributions. With oil still hovering at half the value of several years ago, many oil and gas LPs are struggling to make distribution payments and some may end up defunct. 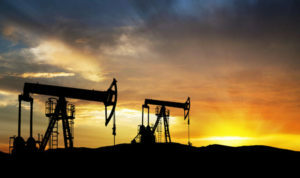 The White Law Group is investigating the liability that brokerage firms may have for improperly selling oil and gas private placements like Hard Rock Partners 2009 LP. However, another problem with Reg D private placements is that the high sales commissions and due diligence fees. These high commissions and fees can provide brokers with an enormous incentive to push the product to unsuspecting investors who do not fully understand the risks. They may misrepresent the basic features of the products – usually focusing on the income potential and tax benefits while downplaying the risks. Fortunately, there is a possibility of recovering some of your losses through the Financial Industry Regulatory Authority (FINRA). FINRA provides an arbitration forum for investors to resolve such disputes. If a broker or brokerage firm makes an unsuitable investment recommendation or fails to adequately disclose the risks associated with an investment they may be found liable for investment losses in a FINRA arbitration claim. To determine whether you may be able to recover investment losses incurred as a result of your purchase of Hard Rock Partners 2009 LP or another Hard Rock Exploration private placement investment, please contact The White Law Group at 1-888-637-5510 for a free consultation. This entry was posted in Securities Litigation and tagged Hard Rock Exploration class action, Hard Rock Exploration investigation, Hard Rock Exploration lawsuit, Hard Rock Exploration losses, Hard Rock Exploration recovery options, Hard Rock Partners 2009 L.P. attorney, Hard Rock Partners 2009 L.P. bankruptcy, Hard Rock Partners 2009 L.P. buyback, Hard Rock Partners 2009 L.P. class action, Hard Rock Partners 2009 L.P. complaints, Hard Rock Partners 2009 L.P. current value, Hard Rock Partners 2009 L.P. damages, Hard Rock Partners 2009 L.P. distributions, Hard Rock Partners 2009 L.P. dividends, Hard Rock Partners 2009 L.P. information, Hard Rock Partners 2009 L.P. interest payment, Hard Rock Partners 2009 L.P. investigation, Hard Rock Partners 2009 L.P. investor relations, Hard Rock Partners 2009 L.P. K1, Hard Rock Partners 2009 L.P. lawsuit, Hard Rock Partners 2009 L.P. lawyer, Hard Rock Partners 2009 L.P. liquidation, Hard Rock Partners 2009 L.P. litigation, Hard Rock Partners 2009 L.P. losses, Hard Rock Partners 2009 L.P. news, Hard Rock Partners 2009 L.P. performance, Hard Rock Partners 2009 L.P. recovery options, Hard Rock Partners 2009 L.P. redemption program, Hard Rock Partners 2009 L.P. secondary market, Hard Rock Partners 2009 L.P. securities fraud attorney by Harrison. Bookmark the permalink.